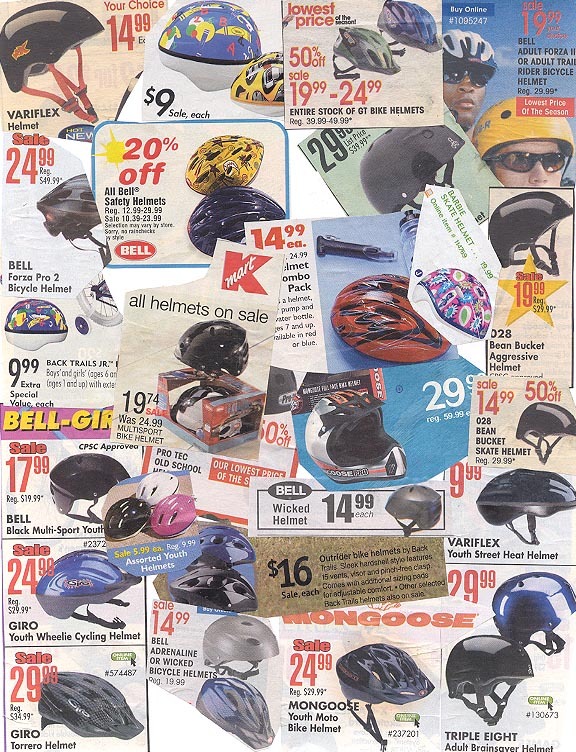 Summary: Consumers who can't afford bike store helmet prices should check the ads of discount stores. These appeared in 2003, but surprisingly are not far from today's prices in big box stores. Click on the graphic to eliminate the rest of the page. 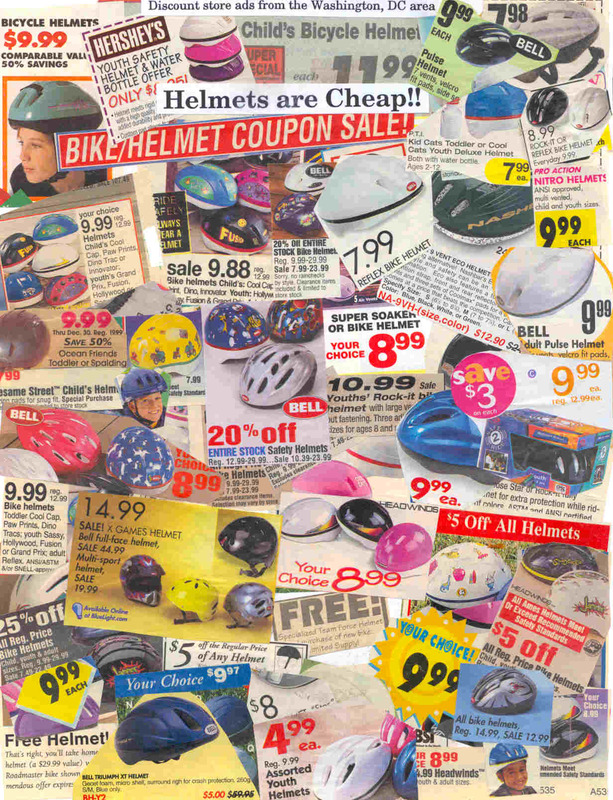 Here are ads from the years before 2000. Sale prices were lower, and they have generally moved up a little with inflation. If you look down on the lowest shelves, Wal-Mart and Target still have regularly priced helmets at $10 each, so there is no need to wait for a sale.